From time immemorial the walls of children’s rooms have been plastered with icons of their biggest dreams. For some it was the rock bands that they aspired to be like, whose music they adored, and for others it was the pages of comic books featuring their favourite super heroes. For kids like my younger self however, and my own children today, it’s cars and bikes that we dream of. In my case it was American muscle cars that filled my dreams at night. For as long as I can remember I aspired to be driving behind the wheel of the ultimate in American muscle – the Shelby Cobra. I saw it complete with the iconic deep, cosmic blue body paint, dual white racing stripes slipstreaming along the middle of the car. Of course it was shod with a set of white wall tyres. Unfortunately for me my dreams have never materialised. 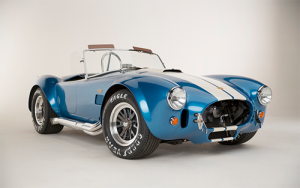 I’ve never had the opportunity to own, or even take the wheel of the legendary Cobra. 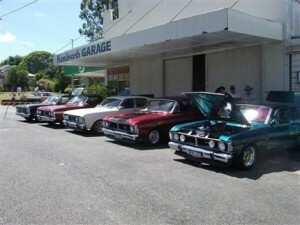 So for those of us who haven’t been so lucky, we can at least bask in the Shelby glory, and the glory of other dreamy classic cars up close at conventions and car shows around the world – including one right here on the Sunshine Coast. 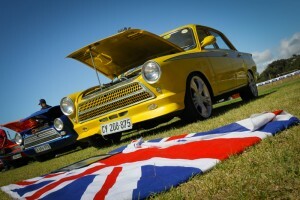 Coming up this April 24th, the 7th annual Mary Valley Classic Club Classic and Custom Car Show will be hosted at the Kenilworth Hotel – complete with live music, market stalls, kids’ entertainment and award ceremonies for the Best Custom, Original and People’s Choice Awards starting from 10am. Last year I went to this show and was blown away by the showcase of beautiful dream cars on display – from Shelby Mustangs, Chevys and Holdens to BMW and Jaguars with that beautiful classic British racing deep green. Just about every dream cars can be found at this show. Unfortunately I didn’t get to drive my Shelby, but I did get to see the most beautiful array of custom cars with creativity and beauty dripping from their bonnets. 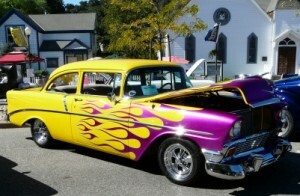 I have always wanted to restore a classic car or bike, to build the perfect classic cruiser for me and my wife to tear up and down this beautiful coastline of ours – but she’s always said no, until we went to this show. She saw all the sparkling chrome and soft leather interiors and seemed to soften to the idea a little. Now she hasn’t exactly said yes, but she did smile and shake her head when I dropped to my knees begging. So maybe one more show and I’ll get her nod of approval and can embark upon throwing money at an old shell until it’s as pretty as I’ve dreamt it to be. This year will be inspirational, for not only what car to start with, but also what I can do with it, what to chrome, and what to smother in beautiful opalescent midnight black, with maybe a deep purple hue that will only be visible under the light of an un-obscured full moon, as I cruise loudly along the edge of the world as I know it – the beautiful coastline of Northern Queensland. These shows are the stuff of dreams, and I’m going to start building mine.